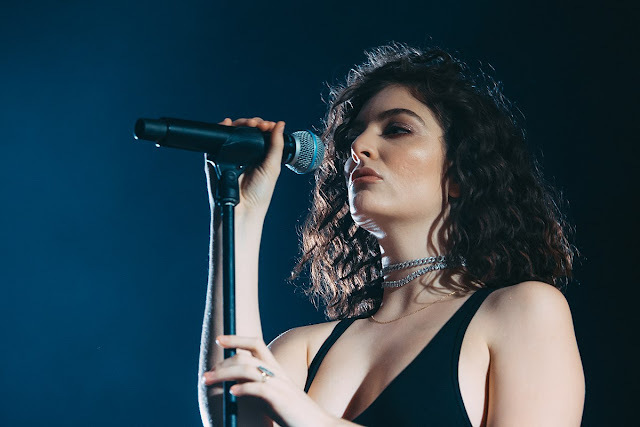 Lorde’s 2013 smash hit, “Royals,” perfectly encapsulates celebrity culture in the eyes of an outsider: “Never seen a diamond in the flesh / we’ll never be royals / we aren’t caught up in your love affair.” Ironically, the song launched the Kiwi into the same position as the so-called royals she sang about. Months after the release of her debut album, Pure Heroine, Lorde was donning designer brands and winning some of the most prestigious awards in music at the Grammys. When I first heard “Royals,” it was love at first listen. I was shocked to hear a song on the radio that was about being a suburban teen rather than the standard topics of basking in wealth, falling in love, and going through a breakup. My 13-year-old self couldn’t relate to the former subject matters. After learning of the 16-year-old songstress behind “Royals,” I proceeded to make an Instagram fan account for Lorde. And I wasn’t the only one. There were dozens of fan accounts and we all became connected—from New Zealand to Texas and Mexico, California to New York—through our love for and fascination with a self-proclaimed “adult baby alien”. Being in a fandom (specifically the “Lorde fandom,” given its name because she did not want to give her fans a proper name) was as much of a community as a sports team, club, or religious organization. We knew each other not only by name, but by time zone and even keyboard smash style. The fandom served as an escape from reality and a ticket into a world of people who “got” me. Mentioning a friend from Australia to my “real life friends” always made me feel way cooler than I actually was. It’s crazy to think that mere years ago, I was scared to show my full face on the internet. I literally shared my address with Lorde fans whom I’d never actually met and received glitter-filled Christmas cards from New Zealand and Texas that year. I don’t think that Lorde ever thought her dismissal of the excess that comes with celebrity culture would lead her to be one of the royals she sang about. It seems as if she wanted to put something out there that was always thought but seldom spoken, and it brought a fandom—a community—together. Celebrity culture is just as much about the glitz and glam of celebrities in Vogue as it is about the people supporting the said stars together: the fans.